I don’t know about you, but I’ve had a pretty stressful week full of headache inducing tech glitches. My absolute favorite way to de-stress is with a good book, which I’m sure you’ve figured out by now. A great romantic comedy can take your mind off the real world and give you several hours of relaxation. Plus, there are all kinds of studies out there written by smart people showing that the healthy benefits of humor and laughing last for hours and hours. Where do I sign up? Where did you work while pursuing your dreams? 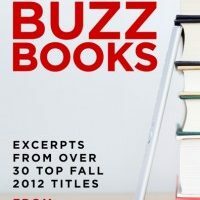 To celebrate Labor Day, Open Road Media created this great video where they asked some of their authors how they made a living in the early days of their writing careers. Enjoy! 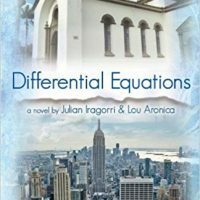 Differential Equations, the novel Julian Iragorri and I just published, had numerous sources of inspiration. Julian’s family story was one, as was the fact that both of us had some mind/body experience. Another key source of inspiration were the magic realists. I knew that Julian and I could collaborate well when I learned in our first conversation that both of us considered Gabriel Garcia Marquez’s One Hundred Years of Solitude a favorite novel. Further conversation revealed a shared affection for Isabel Allende, Jorge Amado, and others. I’d wanted to write a magic realist novel for some time, and with Julian I would finally get the chance to do so. 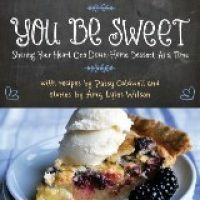 We have a guest post today from Tammy T., one of my favorite people! Tammy is a fellow book lover and she has a wicked sense of humor. Most days, she’s the one who keeps me sane. 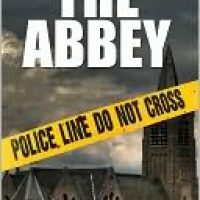 I just finished reading The Abbey by Chris Culver, and I thoroughly enjoyed this novel. 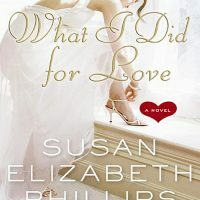 It was not what I expected, based on the description given in my e-reader, and I was prepared for it to be an okay read. I decided to give it a try anyway and am so glad that I did. 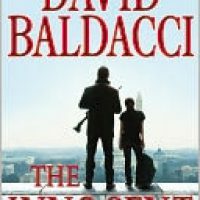 I’ve been a fan of David Baldacci’s books for years, so when I had the opportunity to receive an advanced eBook copy of The Innocent, I jumped at the chance! I’ve especially loved Baldacci’s The Camel Club Series, but was excited to see that The Innocent introduces a new hero to us: Will Robie – an assassin with a moral code. From the beginning, we follow Will Robie on two missions in Edinburgh and Tangier, the details of which are related in a detached, almost clinical, fashion. Through these missions, we learn Robie believes his handlers when they tell him his targets have done something terrible for which they deserve to die. 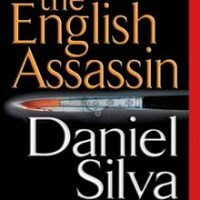 Regular readers know that I’m working my way through Daniel Silva’s Gabriel Allon series in my own personal reading challenge this year. Book 2 in the series is The English Assassin. I felt like I got to know Gabriel, and the other recurring characters, a little better this time, but in a completely different setting: Switzerland.